In the Middle Ages, it was the capital of Barigadu, and today it is known as the ‘linen town’. Busachi is a town of houses and buildings in pink trachyte stone, which takes on a red glow when lit by the sun. The houses are set out on a slope like an amphitheatre, opening on the Tirso valley and the Montiferru hills. Busache ‘e susu is the original nucleus, built up around the 17th century parish Church of Sant’Antonio da Padova. Next to the facade, decorated with visible stone blocks, is a very high belltower (48 metres) crowned with a majolica-decorated dome. The patron saint is celebrated in mid-June. 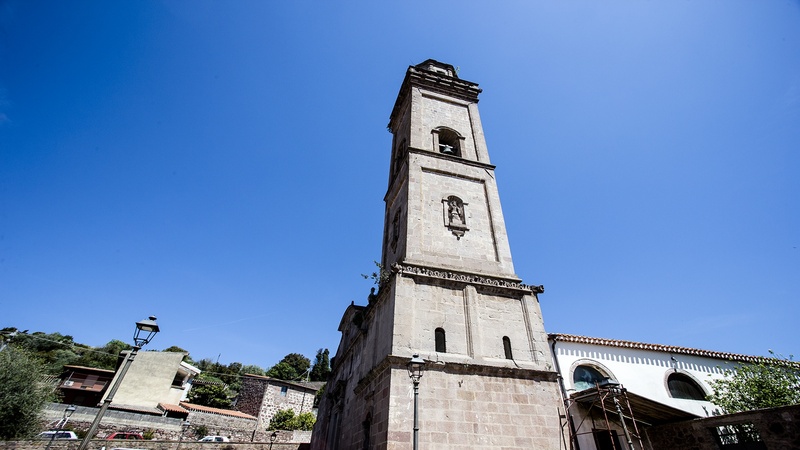 The quarter is built at 430 metres above sea level and 80 metres below is Busache ‘e josso, clustered around the Church of San Bernardino (16th century), who is celebrated in mid-May. According to tradition, the second quarter sprang up to accommodate the inhabitants of a village further down the valley. The third quarter was formed more recently, Campu Maiore, and is named for the main prehistoric heritage: the Campu Maiore necropolis, 24 domus de Janas dug into a rocky ridge, with a structured layout and traces of red ochre on the walls. Tomb IV, formed of seven cells, is of particular interest. Another 50 domus make up the necropoli at Maniere, Cronta, su Cantaru and Grugos. Many traces also remain of the Bronze Age: the Tadone, Pranu Nurache and su Liggiu Nuraghes, situated next to Giants' tombs, are in excellent state and open to visitors. The sa’ Murasa is also noteworthy. 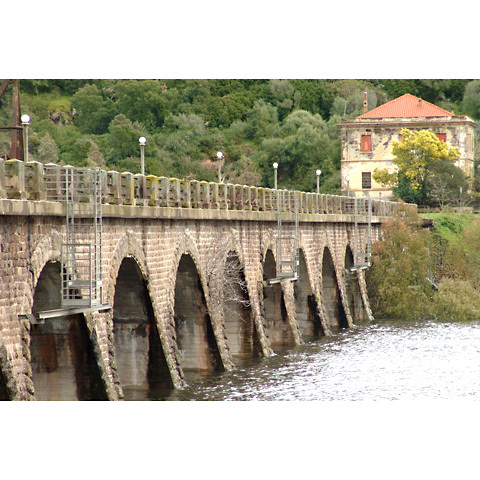 The Roman period left inscriptions, memorial stones, sections of road and a submerged bridge (Pont’ecciu). Built on the remains of a pagan temple in 1349, the Church of Santa Susanna is in Gothic style with a Byzantine holy water stoup. 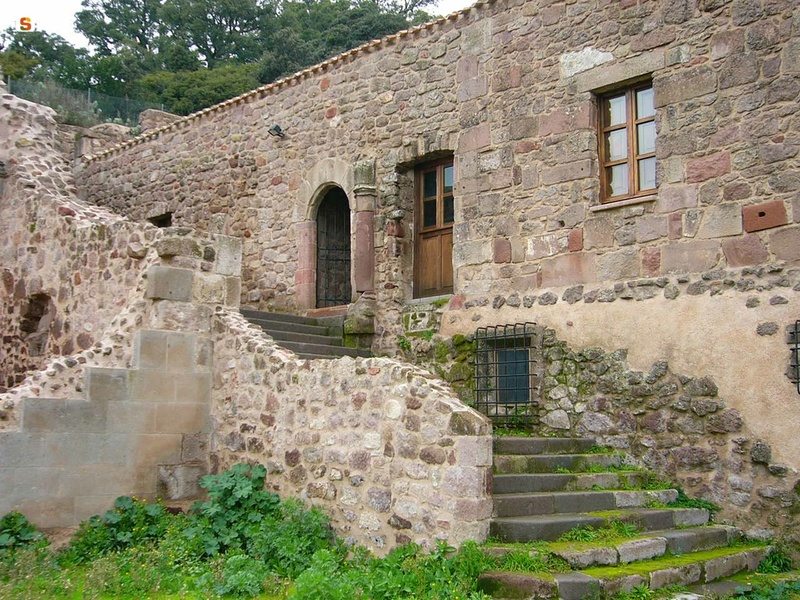 In April and August, during the novenas, worshippers populate the ancient cumbessias in the surrounding village. In addition to the three main quarters, other smaller areas make up the town centre, which has a population of 1300. Inside the town is the Jesuit Collegiu, built in 1577 and now the local cultural initiatives centre. 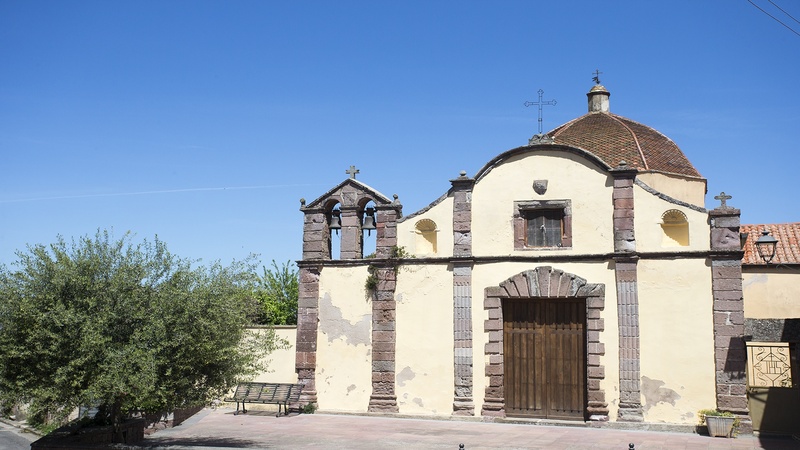 Outside the town you can find the deconsecrated Church of San Domenico (1571), which hosts the Museo del Costume Tradizionale e della Lavorazione del Lino: Busachi linen was considered the best on the island as far back as the 19th century. The town has a strong tradition of excellence in the art of embroidery. You may catch sight of the bright colours of the traditional hand-embroidered clothes worn by Busachi women even day to day, independently of festivals or events. A section of the museum is dedicated to clothing, where you can admire traditional dress for every day, ceremonies or grieving. Painter Filippo Figari, during his stay here in the early 20th century, painted the works entitled ‘Matrimonio busachese’, now kept at the Palazzo Civico in Cagliari. The other section of the museum shows how linen is processed and embroidered, along with the tools used. 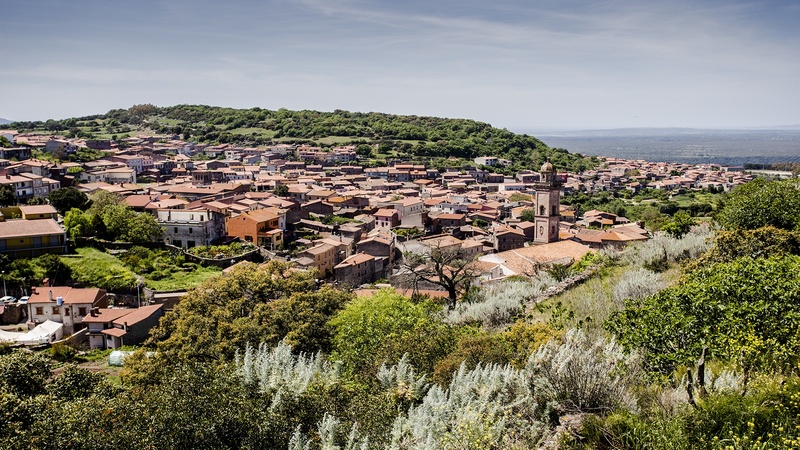 Other notable traditions include the Fuochi di Sant’Antonio Abate in mid-January, the Holy Week rituals, folklore reviews, the Pariglie (acrobatic displays of horsemanship) and choral performances: the processions are accompanied by goccios, liturgical chants, and the rosary in Sardinian. The most famous local dish is su succu: ‘angel hair’ pasta cooked in broth, with fresh and dried pecorino cheese and saffron, in a recipe handed down through the generations. 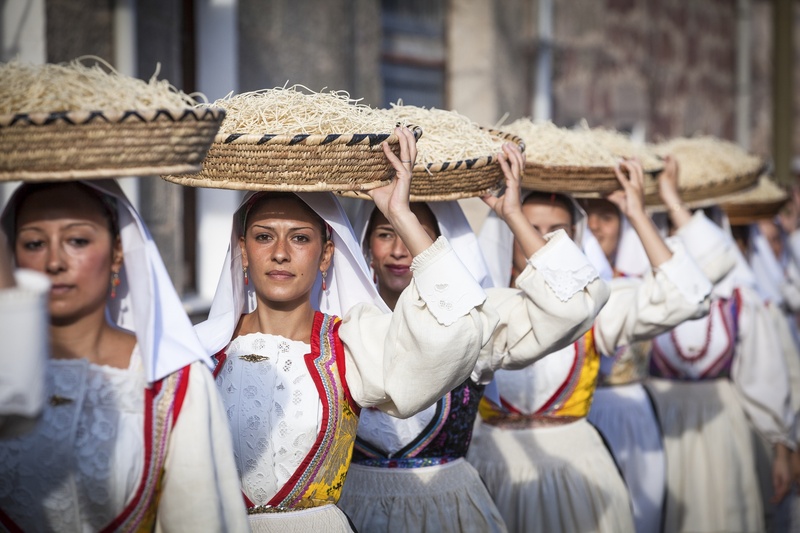 During the su succu festival, a procession of girls in traditional costumes is held carrying su presente: this is an ancient rite linked to marriage, in which bread and pastries were brought to the home of the newlyweds.